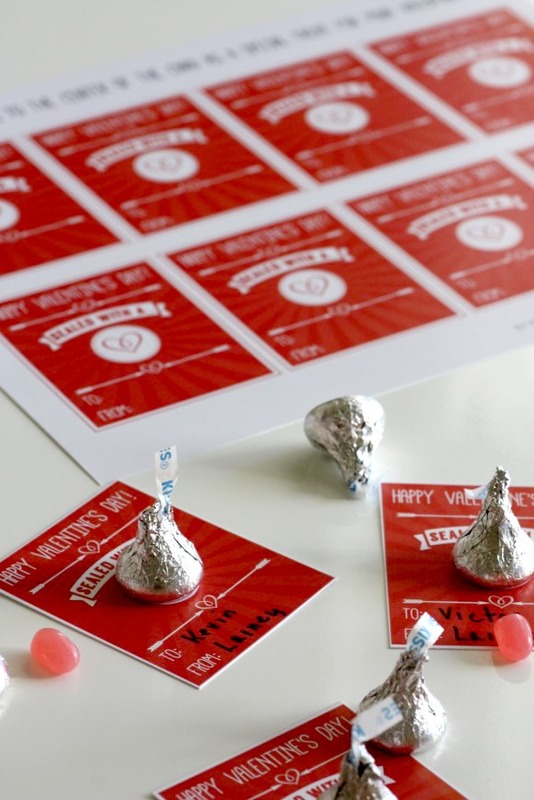 Free Printable Kids' Classroom Valentines + Blog Hop! 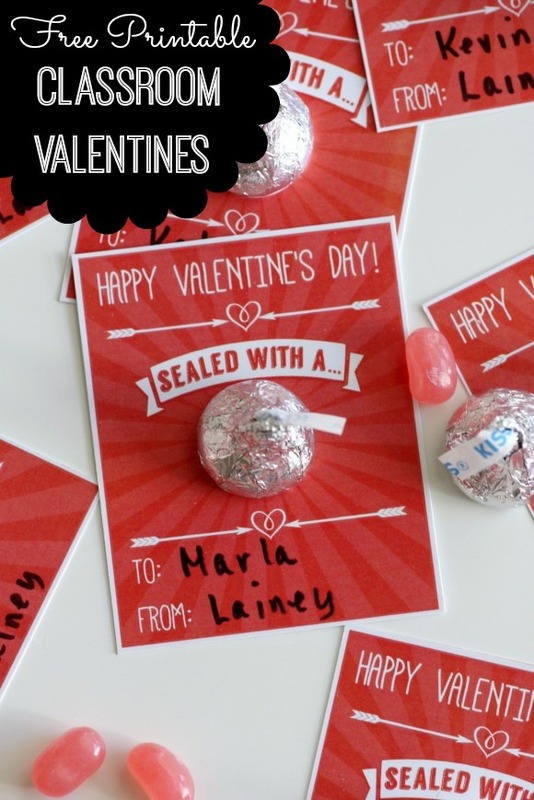 I 'm excited to be giving away these "sealed with a kiss" classroom Valentines. 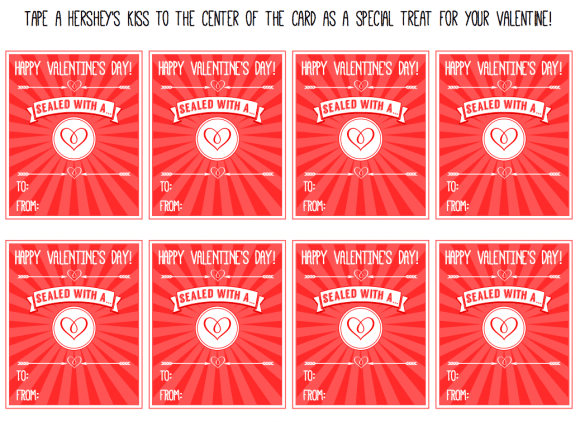 Just print them out, fill them out, and tape a Hershey's Kiss to the middle of each one. Now your child will be able to share a touch of sweetness with his or her friends! We've already gotten them ready for Lainey's classmates. Download the free Valentine's Day printables here! I'm also excited to be part of a monthly free printable blog hop with some talented designers from across the web. These are women I greatly admire. 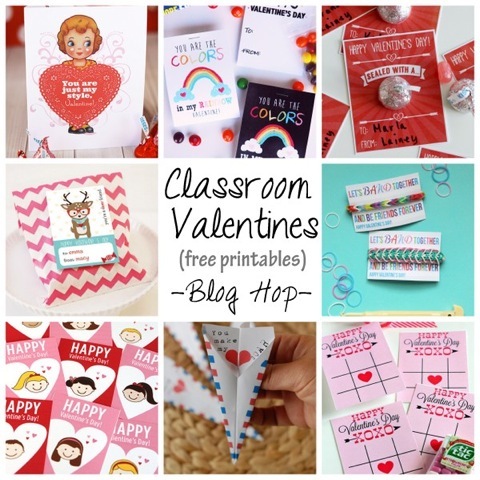 So if you're looking for more free printable classroom Valentines, check out the links below... so many creative ideas! For more Valentine's Day inspiration, check out all our free Valentine's Day printables and awesome Valentine' Day parties on our site. I absolutely love a simple and clever ideas, this is so cute! Thanks for the free printable.